What’s Happening at Weaver Street Market? | Small Farmers. Big Change. What’s Happening at Weaver Street Market? Recently, I traveled to the Weaver Street Markets (WSM) in North Carolina with my co-worker LJ Taylor where we conducted a number of trainings with co-op staff. It was especially meaningful (and crazy overdue) to LJ who worked at the WSM Southern Village store years back! Old friends reunited and new friendships made as we engaged with staff members. It was a blast to share the history of Equal Exchange, our model and core values as we tasted various EE products. 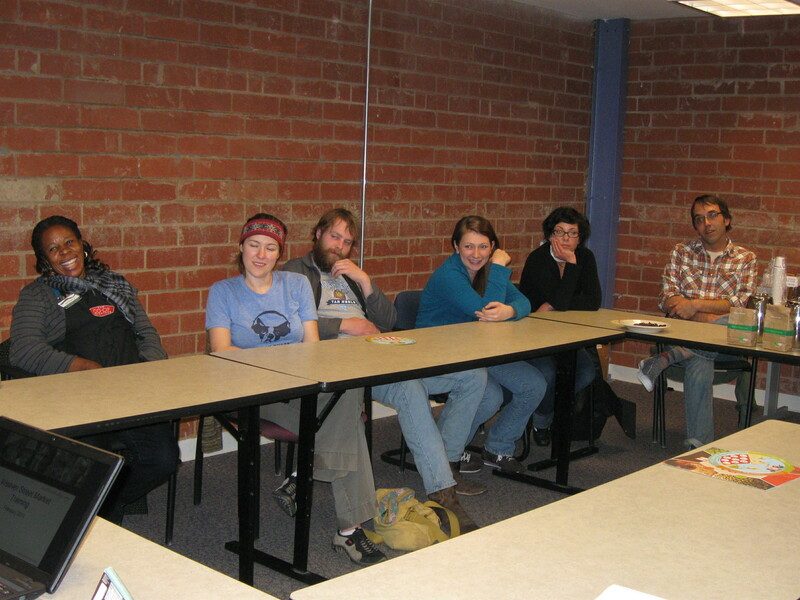 We also discussed current happenings such as the P6 initiative and TransFair’s attempt to change its name to Fair Trade USA. Over the 3 days we spent with WSM, there was a lot that occurred almost in a “blur-like” fashion. I knew I wouldn’t process much until some time had passed, and finally I’m ready to share! I’m not going to lie, I was slightly dreading these trainings. It’s not that I wasn’t looking forward to them, but I had put a lot of pressure on myself. EE & WSM have been strong partners since their respective inceptions (EE was founded in 1986 and WSM in 1988), and I knew there was a lot of history I was walking into. I wanted to respect that relationship and strengthen it even more. There was also a wide range of folks attending the trainings so I wanted everyone to leave with some message. That being said, we had 31 staff members attend one of 5 training sessions (each had the same format and lasted 90 mins) over 3 days. There were so many things that happened during those 3 days and as I sit here reflecting, I am overcome with a feeling of gratitude. I am grateful for the work that co-operatives do and the unique platforms they create. This was not a small undertaking. It required a serious amount of time and energy on the EE side as well as from WSM’s staff. Windy Willer, who is the Training & Development Manager at the co-ops, helped fill each session with folks from the grocery & prep foods departments of all 3 WSM locations, including James Watts, the Merchandising Manager for WSM. I recognize this took a huge amount of planning and scheduling. So to Windy, thank you friend! And to all those who attended, thank you. I hope there was some value in those 90 mins to you, and I sincerely hope to hear your feedback. Y’all act as positive ambassadors of the work we do here at Equal Exchange, so thank you for attending the trainings and for representing us so well. I am also grateful for the support co-ops give one another. They provide platforms such as these trainings for us to share information, educate and deepen the work we do. They place value in the collective good; that we’re all better off if we support one another in our work as opposed to constantly competing and bottom lining one another. This is what I find most empowering as a worker-owner of Equal Exchange. Why else did LJ give me endless support in leading stellar trainings with him? Because there is value in us all succeeding, and even more value in doing it together. So thank you to my coworkers who give me support on a daily basis. What I mean to say, is there is a certain humility you all work with. You don’t always get credit, but I appreciate the “lack of ego” I feel when I walk into work. 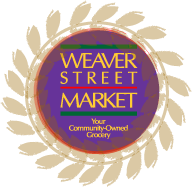 For more info on the Weaver Street Markets, check out their website.